This means making big-picture decisions based on sincerity at all times to build a relationship of mutual trust with the customer without chasing short-term profits. 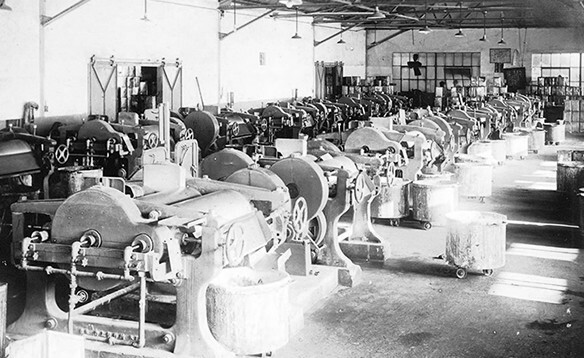 Everything that Kansai Paint has achieved in becoming a 100 year old company started from this aspiration. 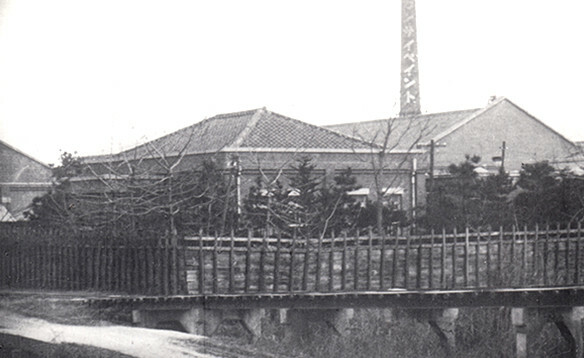 The company was founded along the banks of the Kanzaki River which flows along the border between Hyogo and Osaka Prefectures. 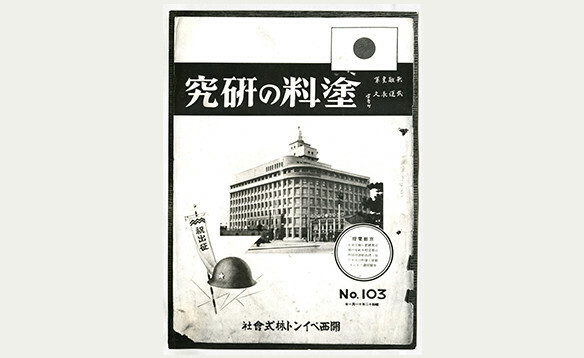 Located in the middle of the Hanshin Industrial Zone, the site was fortunate to be in an area of major paint consumption and a port of export, and it also had the advantage of being close to a port of entry for raw materials such as vegetable oils and natural resins. 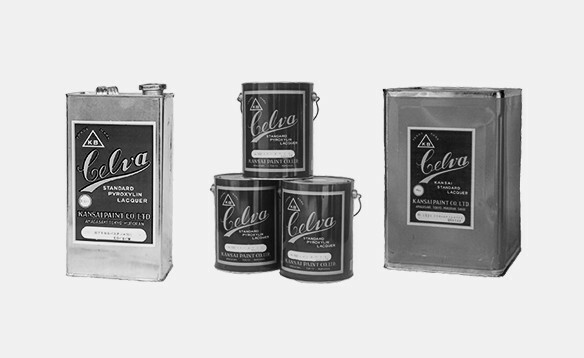 Featuring unprecedented quick-drying properties, superior luster and durability, CELVA was the first lacquer developed and sold in Japan. 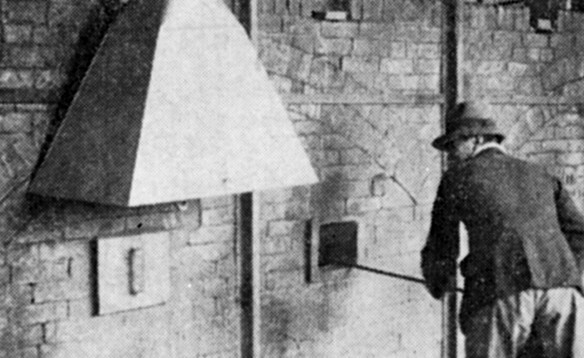 The catchphrase at the time was, “CELVA lacquer is finished while you wait”. In addition to pleasing many customers, Kansai Paint's performance for the year achieved significant gains. 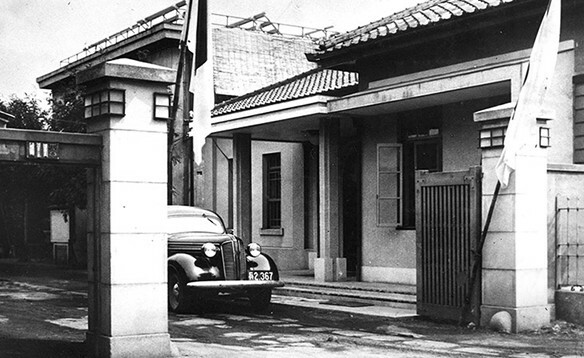 The “Celva Paint Research Laboratory” was established in Konohana-ku, Osaka primarily to provide spray coating technical instruction to company engineers. 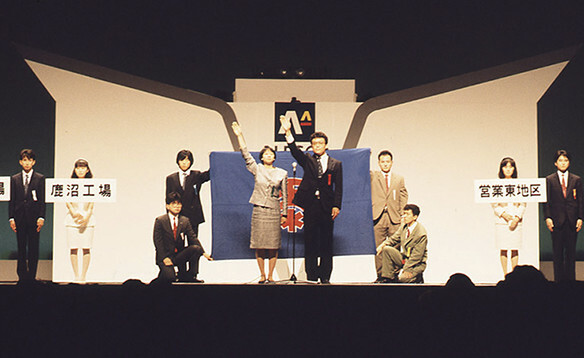 The company also proactively hosted events such as paint technique competitions and demonstrations which significantly contributed to popularizing spray coating, which was unknown in Japan at the time. in various fields starting with synthetic resin coatings, oil paints, and special paints. 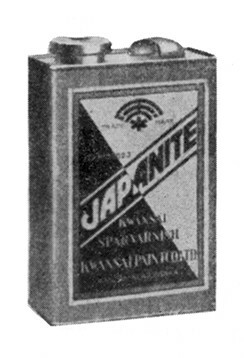 The “Sabinite” product released in 1927 became an important product as a specially-blended (Patent No. 76819 issued in May of 1928) oil-based rust prevention paint. 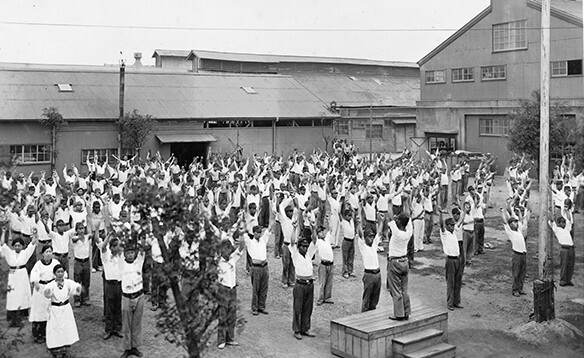 Established a private military training center for young men within the main factory after receiving a request from the government which was accelerating militarization of Japan. The center conducted military drills and vocational training for young men who had completed their compulsory education. 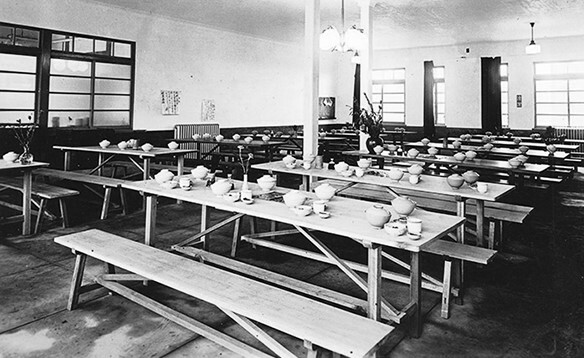 Established the private Kansai Paint Boys’ School in April of the following year after discontinuing the Young Men's Military Training Center in accordance with the enactment of the Youth School Order. 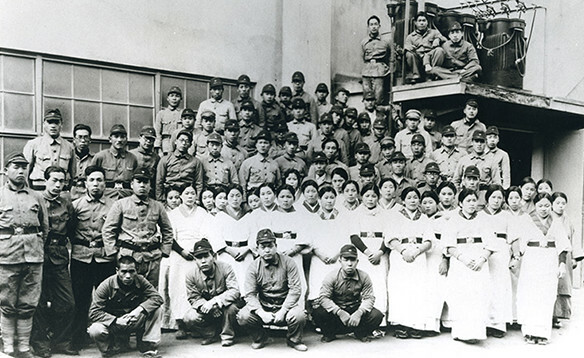 Internal technical employees and reservists provided education in the school. 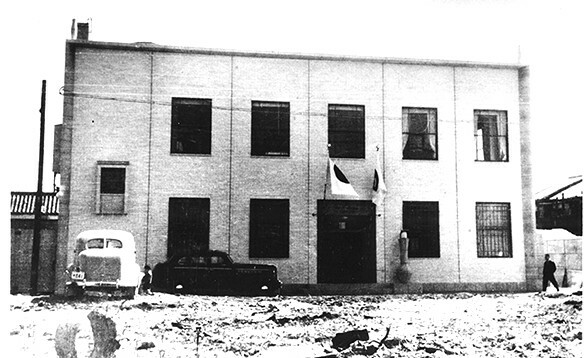 The school was rated as one of the best schools within Amagasaki City, but it was closed in 1945 when the war ended. 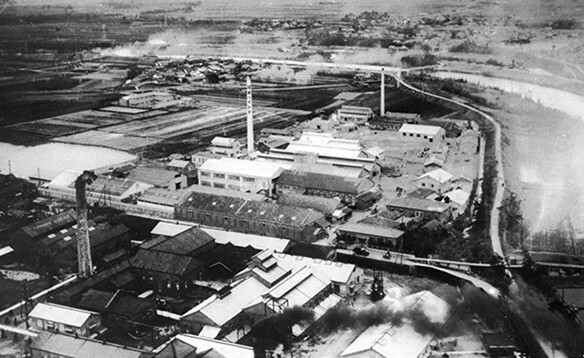 The offices and factories of Kansai Paint were hit one after another in air raids carried out by the U.S. Air Force. 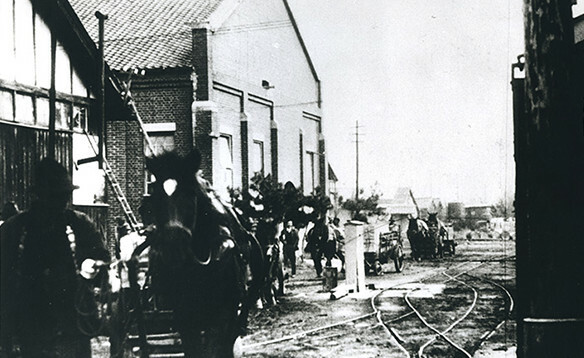 Although the casein factory, container warehouse, lake factory, and finishing plant burned down in an air raid on June 15th, the employees were able to protect the main factories for paint, enamel, and CELVA from burning down through arduous fire fighting efforts. 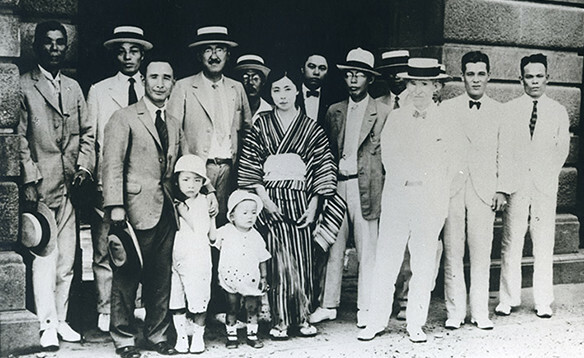 Asking “What should we do with the company?” instead of “What will happen to the company?” During this period, Kansai Paint applied its unique vitality and teamwork to overcome difficulties immediately after the end of the war and achieve significant progress. 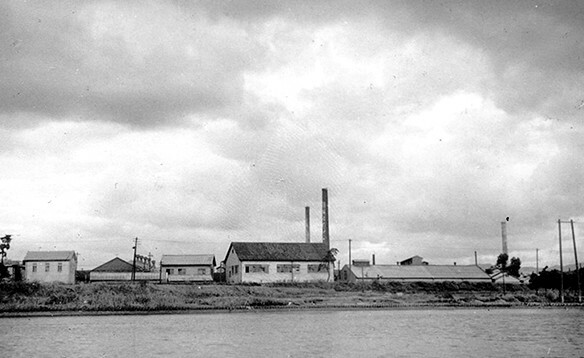 The tiny paint manufacturer started near the Kanzaki River grew to a capitalization of over 8.7B JPY, more than 2,800 employees, and annual revenues of over 130B JPY during the roughly 60-year period extending to 1986. 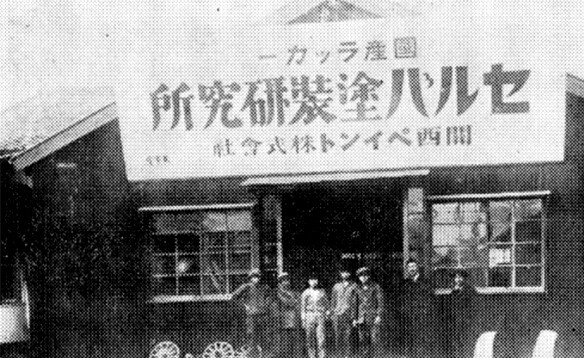 This occurred five years after the Edobori head office located in Osaka’s Nishi Ward burned down during the war and relocated to the Amagasaki main plant. 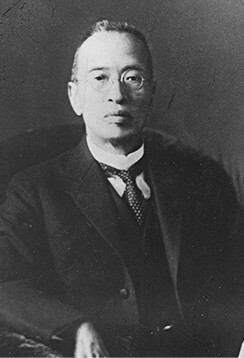 The company was finally able to achieve the long-awaited expansion into Osaka’s commercial center. 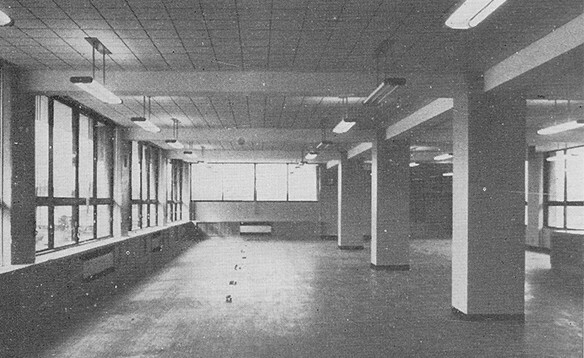 The scale was not significant, but the building was the first post-war building to use steel-reinforced concrete construction. 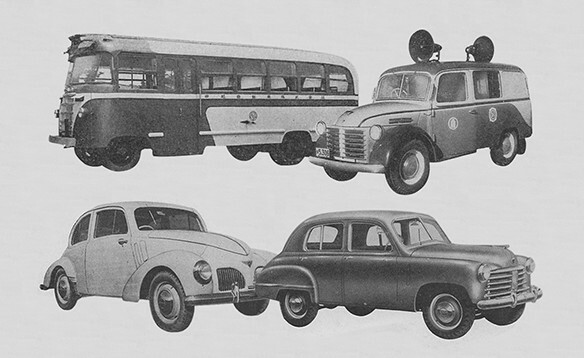 In April of 1950, the company held its first post-war new product press conferences to introduce its “Neo-Celva”, “Amylac”, “DIALAC”, and “VINYLENE” products at locations around Japan. 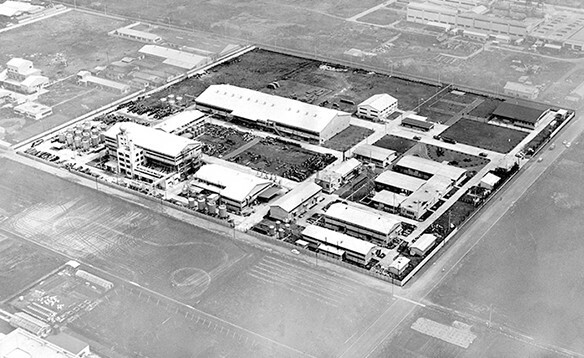 In addition to the reconstruction and expansion of production facilities, the development of new technology was a significant issue for post-war reconstruction. The new products were met with significant interest by representatives from various industries. During the previous year, the company developed “VINYRA”, a vinyl chloride and vinyl acetate copolymer resin-based anti-corrosive paint for the bottom of ships. 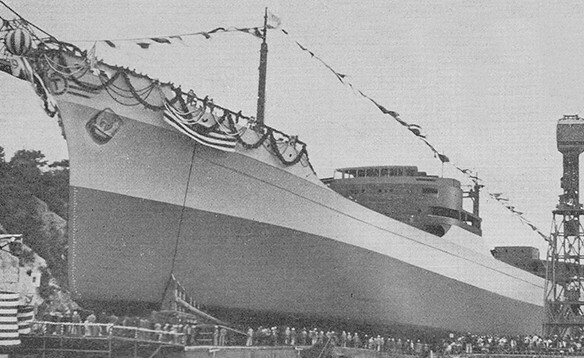 The performance was highly rated from demonstration results and began to be adopted in newly constructed vessels. 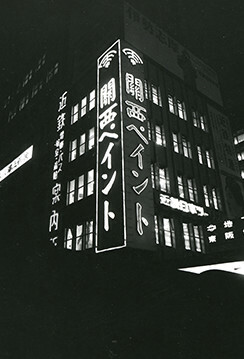 The first large-sized Kansai Paint neon sign was completed near the head office in southeastern bank of the Yodoyabashi district. Located in Osaka’s commercial center, it was an excellent location with frequent traffic facing Nakanoshima Park, a popular place for residents to relax. The sign colored the nighttime scenery and attracted the gaze and interest of many people. 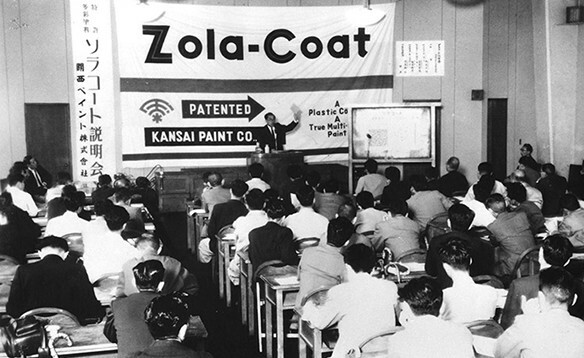 The first technology introduced by Kansai Paint was the “Zolacoat” multi-color design finishing material. 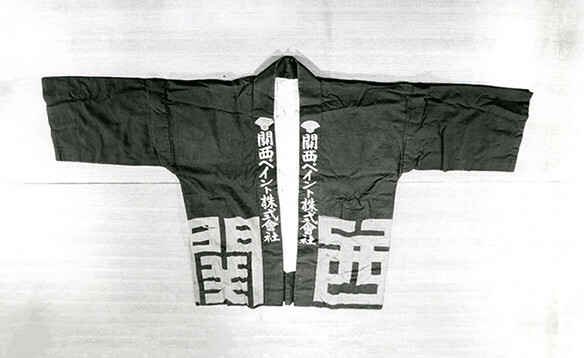 In order to promote the product at the same time as the sales release, the company hosted roughly 40 information sessions around Japan intended for press organizations, targeting special agents, vendors, painters, and general consumers. 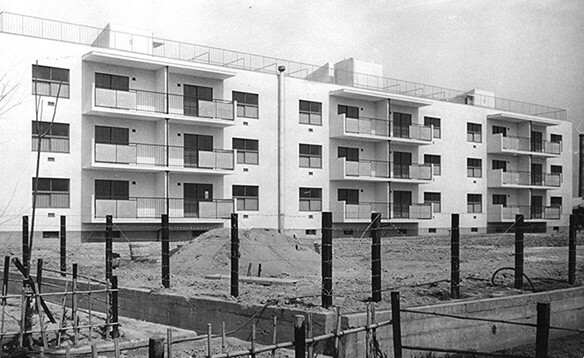 As the years passed, Zolacoat even became a kind of trend in building construction as the product’s appeal spread. 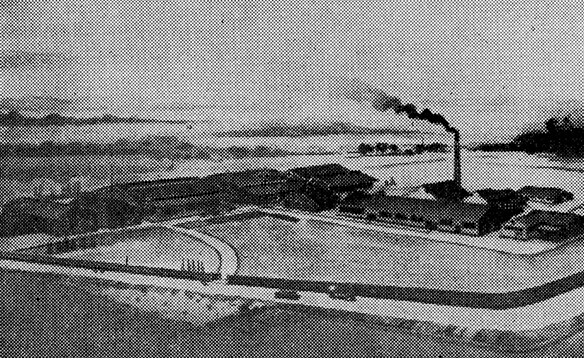 On the morning of November 15th, six employees died in an unfortunate accident when a fire broke out in the thinner workshop. 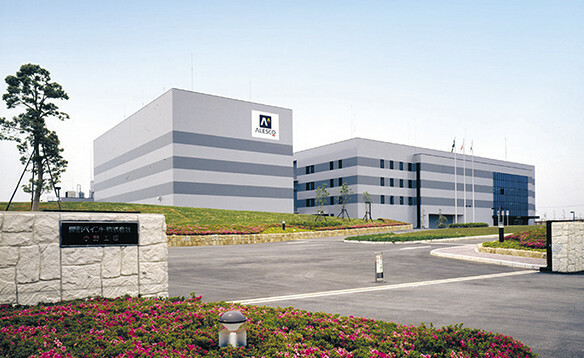 In addition to praying for the repose of the six deceased employees in a joint company funeral, Kansai Paint established an Office of Safety and Health reporting directly to the plant manager in each plant. This unfortunate accident provided the company with an opportunity to be more thorough about safety and health issues. 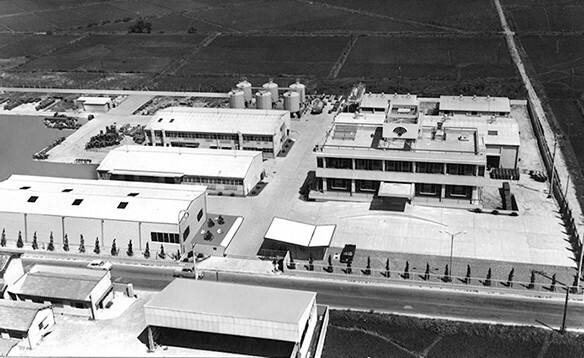 Many synthetic resin coatings were created during this time starting with the “VinyDeluxe” superior emulsion paint, the “SD Mixed Paint” long oil length alkyd resin paint (1955), and the “RETAN” polyurethane resin paint (1959). 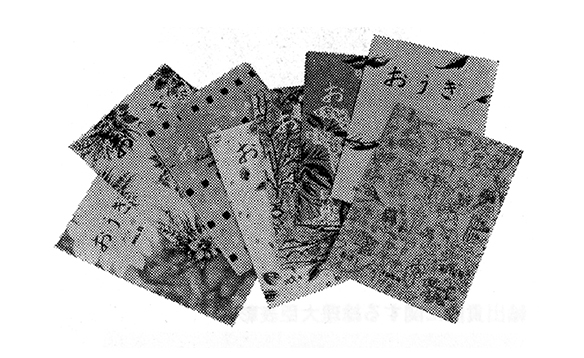 In 1959, the first issue of the “Ougi (Fan)” in-house newsletter was published. The main purpose of the newsletter was to deepen the employees’ understanding of the company’s current situation and thinking, to provide a common space for employees working in different locations, and to improve internal PR and human relationships. 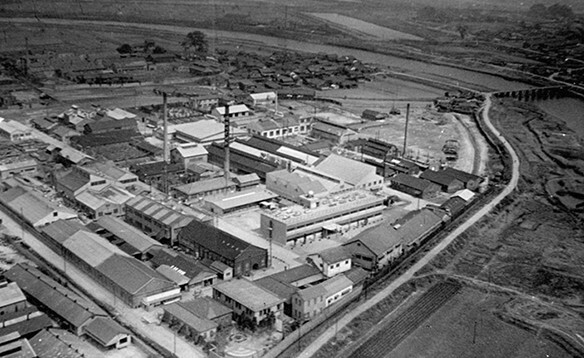 To enhance the production system, roughly 93,000 square meters of land was purchased in the Yawata area of Hiratsuka City in Kanagawa Prefecture, and operations started in November of 1960. 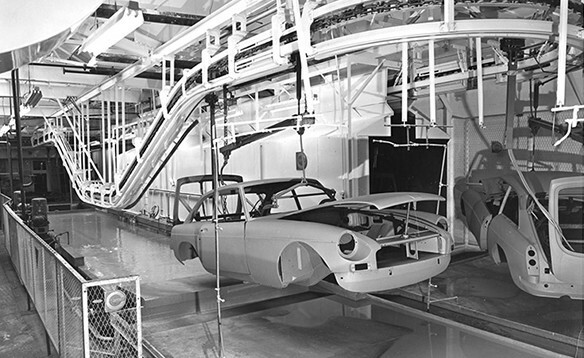 The Nagoya plant was built to respond to the increase in paint demand mainly from the automobile industry in the Chukyo area. 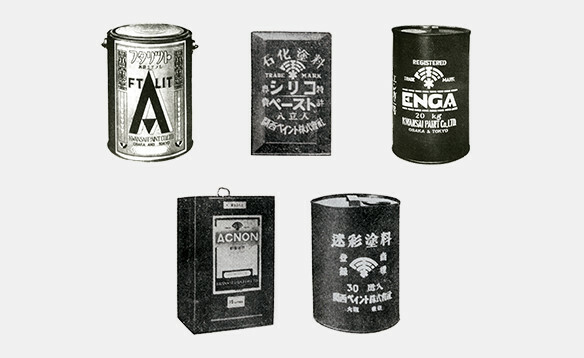 The company launched the new top-grade “Magiclon” baking paint which had superior weatherproofing characteristics compared to the amino-alkyd industrial baking paints which were common at the time and “Acric”, which initiated a new phase in lacquer which had previously been limited to nitrocellulose lacquer. 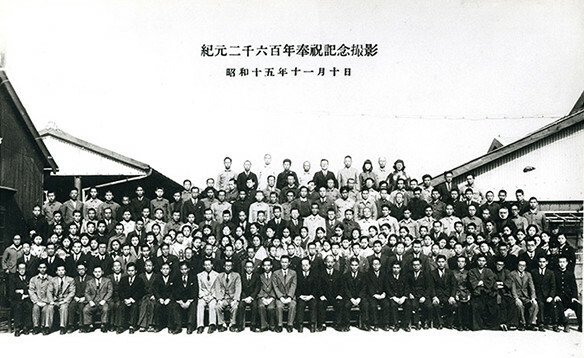 Completed the fifth plant in Kanuma after building plants in Amagasaki, Tokyo, Hiratsuka, and Nagoya. 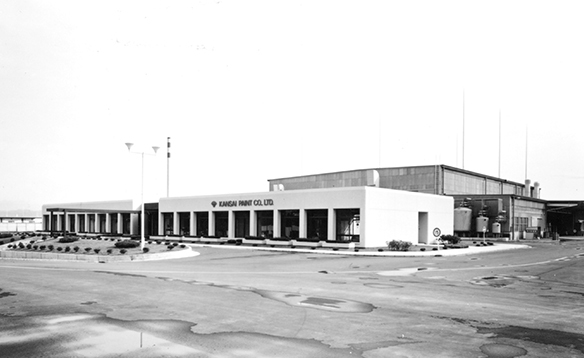 The plant was equipped with modern facilities to establish a system for efficiently producing and supplying highly reliable products. The plant also received an award of excellence in the first Tochigi Prefectural plant greenery contest for its early environmental design considerations. 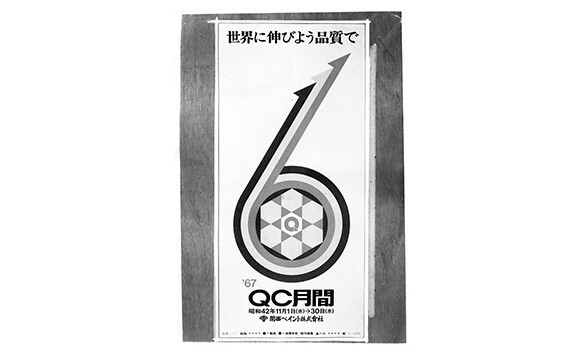 The company released “RETAN PG80”, a quick-drying type of automobile maintenance paint and hosted presentations around Japan. Market share increased significantly due to the superior quality and assertive sales efforts. 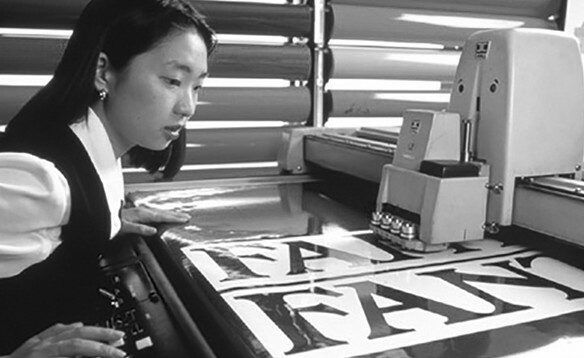 Commercialized the "FANTAC" marking film to cultivate new areas of business. 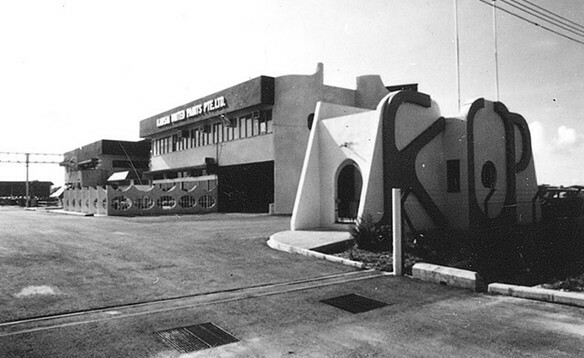 Established the Tokyo Center in 1987 and the Osaka Center in 1990 to improve the sales network and expand sales. 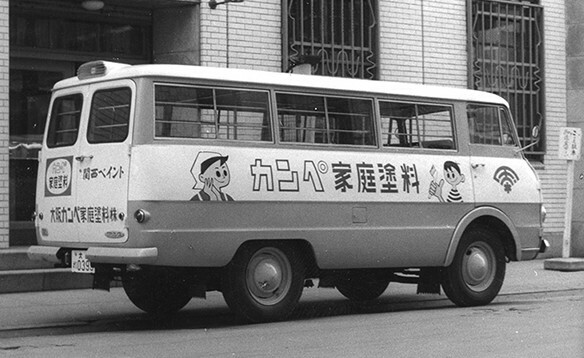 Kansai Paint started to officially globalize with the overseas expansion of domestic Japanese automobile manufacturers. In addition to expanding production capacity overseas, the company endeavored to improve its global price competitiveness and technology development capabilities and establish a technical support system. Hosted the “ALESCO '88 IN KOBE” convention at Kobe World Hall to celebrate the 70th anniversary of the company’s founding. The design for the new “ALESCO” corporate brand, which was adopted during the previous year, was announced. China The overseas businesses made further progress as internationalization increased. 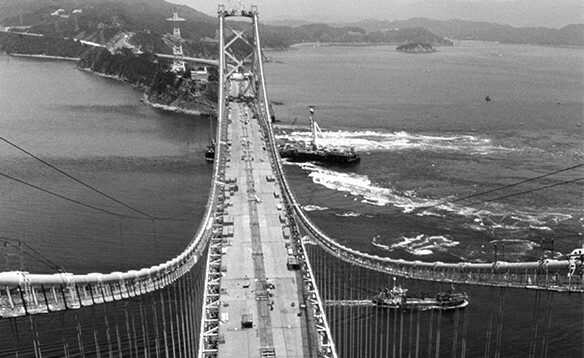 Particularly in Asia, the expansion of overseas joint ventures and the self-reliance due to the management efforts of each company resulted in a strengthening of the management foundation. Acquired additional shares in Goodlass Nerolac Paints Ltd. to convert it into a subsidiary of Kansai Paint. Started to accelerate the enhancement of our global network to prepare for the robust demand trends in the Asian region. 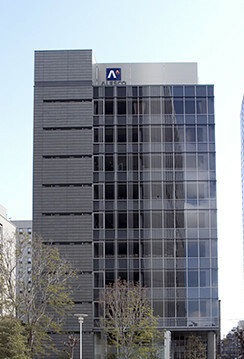 Kansai Paint constructed the company's own ten-story building with two basement floors for its new head office which faces Imabashi Avenue in the center of the Osaka business district. 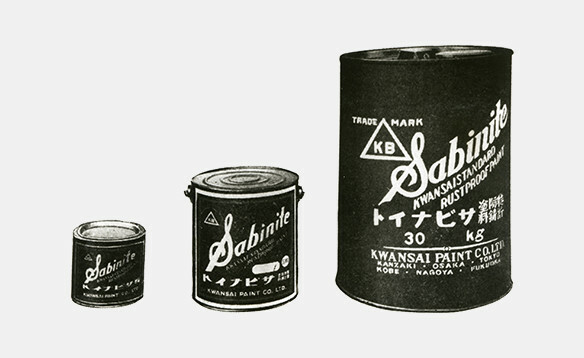 Established the Kansai Paint (China) Investment Co.,Ltd. Period of Accelerating Globalization 2011 - 2017 Automobiles, Construction, Industry. Overseas markets exhibit an increasing demand for paint due to the remarkable economic growth mainly in developing countries. Kansai Paint improves the profitability of its domestic Japanese business and further strengthens its management foundation as it accelerates its globalization efforts. 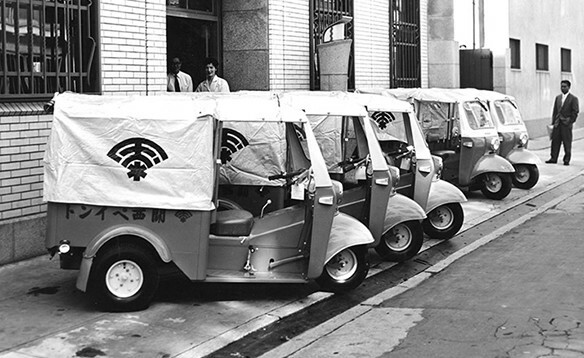 It develops into a global company based on the three pillars of automobiles, construction, and industry. 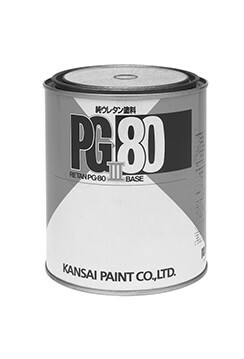 2011 Established Chongqing ALESCO Kansai Paint Co., Ltd. 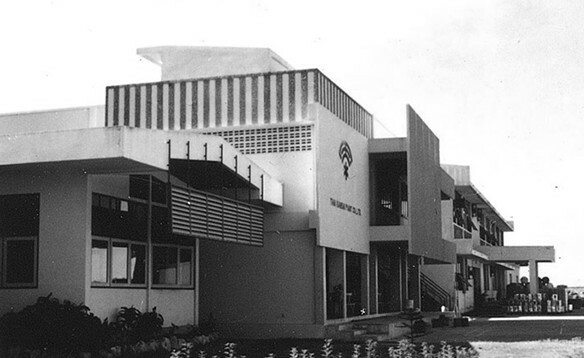 The major South African paint manufacturer Freeworld Coatings Ltd. was converted into a consolidated subsidiary to accelerate the development of emerging markets and to establish a business foundation in the growing African market. Acquiring the company enhances Kansai Paint’s competitiveness in the construction field with Freeworld’s strengths in construction paints. 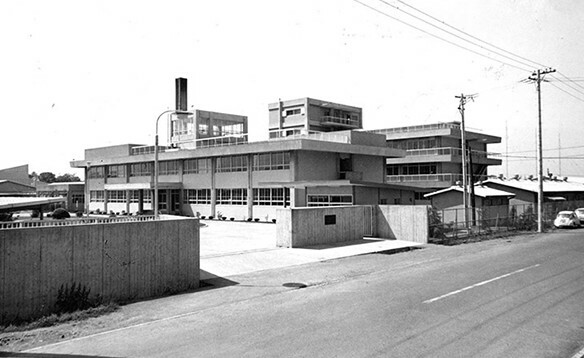 Established COSCO Kansai Paint & Chemicals (Shanghai) Co.,Ltd. 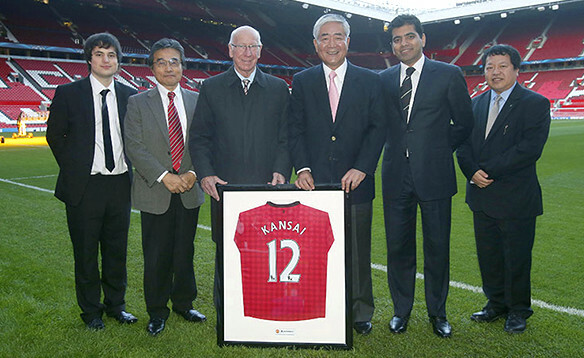 With as many as 659 million fans around the world and the de facto champion of the sports world, soccer club Manchester United signed its first official global partnership with a paint manufacturer. The two companies together aim to become global leaders based on the common philosophy of delighting customers and richly providing color to their lives. 2014 Established Zhaoqing Kansai Shenglian Powder Coating & Technology Co.,Ltd. 2015 Established Japan Powder Coating Manufacturing Co., Ltd. The project to promote infection control paint (anti-mosquito paint, anti-virus paint) in the Republic of Zambia was adopted as a “Collaboration Program with Public & Private sector for Disseminating Japanese Technology for Social and Economic Development of Developing Countries” advanced by the Japan International Cooperation Agency (JICA). 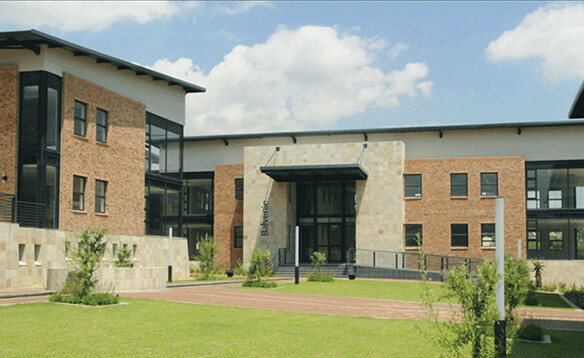 The project is expected to have a significant impact in preventing the spread of malaria infections by mosquitoes. 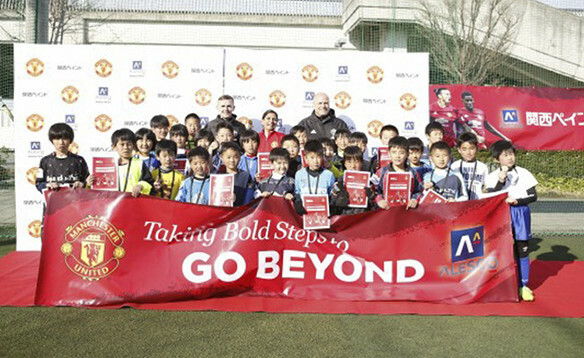 Hosted the Kansai Paint x Manchester United Soccer School! The company invited two official coaches from Manchester United to host a soccer school for approximately 190 elementary school students and coaches. Those accompanying the participants were provided with a paint workshop using Kanpe Hapio NURO and a nutritional lecture to create a wonderful spring vacation experience. Developed a plaster Japanese wallpaper from “Ales Shikkui Montyart” plaster paint and Echizen Washi by making the most of their characteristics. The Kansai Paint Group wishes to deliver a smile to people and society. Because it is "the form of happiness" that does not change forever.